You know every way in the world to get high. You can roll a blunt blindfolded with your hands tied behind your back. And you can even sniff out mids being smoked from a kilometer away. Your passion is pot. We get it, so is ours. Its time to take your love of loud to the next level, from a hobby to a way of life. Here’s The Pot Vault guide to scoring your dream job in the world of cannabis. Let’s get this out of the way first. Any strung out stoner with a Scarface fantasy can sell dimes out of their apartment. But, one, its illegal. Second, its no way to make a living. The real money is in long-term and legal career options. With legalization right around the corner, there’s no better time than now to break into this budding (get it?) industry. With so much potential, the competition for jobs is going to be stiff. So let’s get into in by breaking it down into two sections to make it easy. It may seem strange, but like in any industry, there’s a ton of different types of jobs available. You’ll want to pick a field that you find interesting or have experience in. We’ll try to stick to the highest paying ones, so we don’t waste your time. There are many options in the supply side of the marijuana industry. You can start as simple as a harvester and work the fields and to the crops. But the higher paying side of this is becoming a Master Grower. These are the guys who know all the steps in the growing process; from cultivation to harvest. They don’t just know weed, they know horticulture. Knowing how to grow any plant is important. From ventilation, lighting, temperatures, to pest control, this is a tough job. But the reward is steep; these guys can make well over $100,000 a year. They also get to to do the fun stuff, like playing around with strains, potency, and colors. So, what do you think, are you up for the hard-work, high-reward possibility of growing bud? Farming isn’t your thing, eh? Well good news is, there’s a whole market out there for selling the stuff too. There are jobs abound in the distribution and marketing of marijuana. Keep in mind that everything is about to change in the coming months with the legalization of recreational pot, but that makes it all the more exciting to get started now. There are many different opportunities to work in distribution. First, you can work in a dispensary. The best job within a dispensary is store manager, which can earn you up to $80,000 per year. Not a bad pay day for hanging out in a pot shop all day. Second, you can become a sales representative. 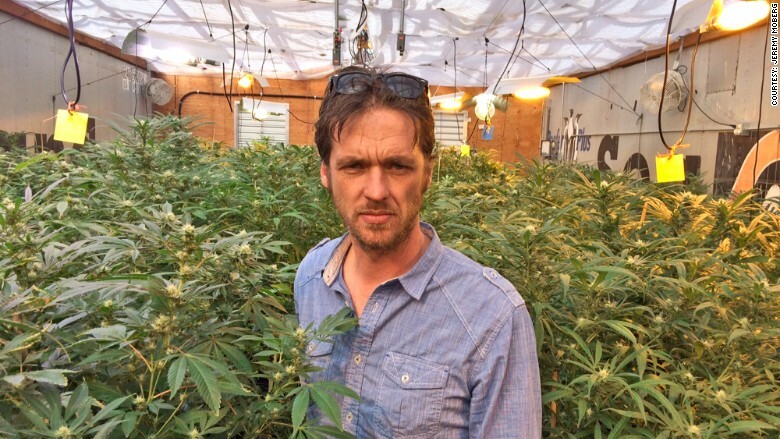 The job of this middle man is to forge bonds between distributors and growers. If you’re a schmoozer, or a people person, this might be the best choice for you. Third, and probably the tastiest option, is to become an edible chef. This takes some real culinary skill and some hard work, but can also be very lucrative. Edibles are very hot right now in the marijuana industry, and if you have a tongue for flavor and experimentation, it can earn you between $50,000 and $100,000 a year. Not too shabby for a stoner chef. Hopefully, one of these opportunities interests and inspires you because now that you know what’s out there, let’s take a look at the hard part. How Do You Find A Job? There’s always a catch. All of these opportunities are tough to find and highly sought after. It takes a lot of dedication to track down and obtain a real career in marijuana. But we’re here to show you how to make it a little easier. Take look at some of these, and start applying. Tailor your resume to be as cannabis specific as possible and start hustling. Its the most time-tested way of finding any job. Happy hunting! You read that right. A marijuana growing degree exists. Or more specifically, a degree in “Commercial Cannabis Production” is being offered as a graduate level study from Niagara College in Ontario. If you’re one of the more academically gifted stoners out there, this may be the best option for you. For the more entrepreneurial stoners, working for somebody else may not be an option. Luckily, there is always another route to go. Start your own business producing or selling marijuana. Canada requires a license to do either of these things, so you will need to review the requirements. You can apply to grow here, and will have to research how to license a dispensary depending on where you live. The bad news here is that it is costly proposition to start you own business even after you’ve dealt with the licensing fees. Still, if you know about business, and work hard, you may be able to rake in the green in more ways than one. In conclusion, it may seem like an impossible task, but if you work hard and focus, you don’t have to settle. Many people may tell you otherwise, but there’s a real chance for you to find a career in the thing you love most…weed.